The landmark Radio City Music Hall plays host to the high-energy, elegantly choreographed Rockettes, who for nearly 75 years have been part of a beloved holiday tradition in New York City. Few places are more magical than New York City during the holiday season. From Thanksgiving into the New Year, the streets are adorned with festive decor, music seems to drift from every corner, parks are transformed into winter wonderlands with ice skating rinks and Christmas trees, and visitors come from around the world to experience the hustle and bustle of the city at its peak. Certain traditions go hand in hand with New York City during the holidays, one of the most iconic being that of the Christmas Spectacular Starring the Radio City Rockettes. The 90-minute performance is still performing to sold-out crowds of young and old alike. Radio City Music Hall has welcomed hundreds of thousands of visitors to witness the magic of the Rockettes. Their flawless choreography, powerful kicks and glistening costumes all make for a memorable experience from start to finish. New York City is full of options when it comes to planning for student groups. World-famous museums, iconic landmarks and sites of historical significance fill itineraries at any given time of the year. If you plan to visit during the holiday season, a trip to Radio City Music Hall isn’t to be missed. Students will witness not just a performance of unparalleled talent and artistry, but also step foot inside one of America’s best-known venues, which continues to host concerts, performances and televised events year-round. 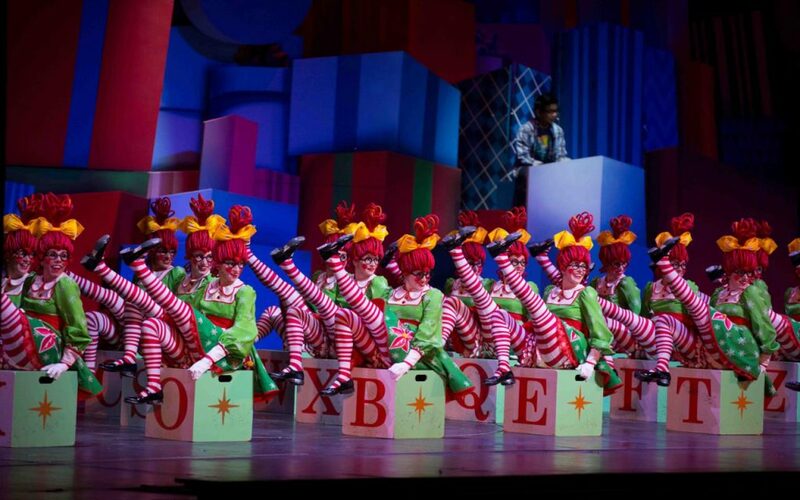 The Radio City Rockettes will dazzle students with a perfectly choreographed depiction of Santa’s reindeer, the 12 Days of Christmas and Parade of the Wooden Soldiers, along with other classics and re-imagined takes on old favorites. Radio City Music Hall, under the auspices of Madison Square Garden Entertainment, caters to groups, and specialized sales representatives are available to assist school groups in maximizing their Rockettes experience, whether the groups are in the area or from out-of-state. Special tours designed for groups take your visit to the next level and are sure to engage students and bring an added level of appreciation to the Radio City Music Hall experience. Why not shake things up with Rockettes 101? 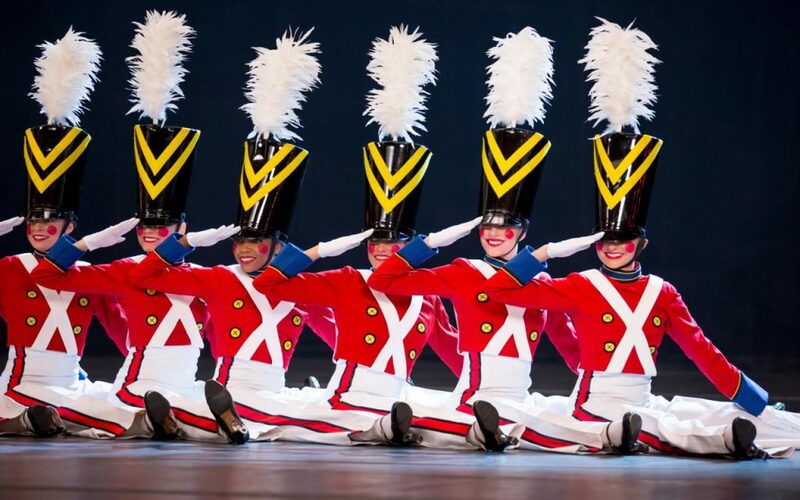 Designed for all ages and requiring no previous dance experience, it gives visitors the unique opportunity to take a class with the Rockettes in their rehearsal hall, taught by the dancers themselves. On the Stage Door Tour, another popular group option, visitors discover Radio City’s Art Deco masterpieces, learn the history of the Great Stage and even have the chance to meet a Rockette. For a step beyond, the Radio City Music Hall Stage Door VIP Tour is available for up to 20 people and goes beyond the traditional Stage Door Tour by offering added bonuses that may include a visit to the rehearsal halls, a complete view of the elegant Roxy Suite or a tour of the lighting booth/projection room. For student groups the Career Educational Tour is an interesting insight that incorporates the Stage Door Tour with insight into the behind-the-scenes aspects of what it takes to run Radio City Music Hall. When it comes to visiting New York City with students, it can feel like there may be too much to do and too little time. But visiting Radio City Music Hall is a holiday-season must. The Rockettes’ mastery, artistry and form, along with the iconic stage that will continue to be a landmark for years to come, are sure to dazzle students and foster a greater appreciation for the arts.